The importance of the Lord Buddha’s Enlightenment has brought calm, peace and warmth to the world. The Dhamma of the Lord Buddha’s Enlightenment is the valuable legacy that makes the world calm, happy and warm. All people prefer these things, not troubles and anxiety. So Dhamma is a valuable legacy that can make the world happy, peaceful and warm. The United Nations determined and realized the importance of the spread of Dhamma throughout the world, so they agreed to appoint “Vesak Day” to be an International Day. All people have accepted it because they want the calmness, happiness, and warmth that comes with it. So when the waxing moon day of the 6th lunar month arrives, they come together to arrange the ceremony. I would like to rejoice with all the Buddhist Associations in the Commonwealth of Australia and hope that all of you realize the importance of Vesak Day. Also, I would like to congratulate all sections and participants who joined in to arrange and perform the 6th Vesak Day Ceremony 2012 to celebrate the 2,600th Anniversary of the Enlightenment of the Lord Buddha. It is an excellent ceremony, as great as Vesak Day is a great International Day. Two thousand six hundred years ago, the Buddha was born in this world to bring hope and light to Humanity. The Buddha’s Birthday is also called “Bathing of the Buddha”. Does the Buddha really need us to bathe Him? The real significance of bathing of the Buddha is to remind us of the Buddha’s compassion, peace and harmony. We take this opportunity to bathe and cleanse our minds. When we bathe the Buddha we are allowing our character to be refined so that we can become better human beings. Australia is a country that fosters and respect cultural diversity. It is similar in spirit to the Buddha’s teachings of equality and peace. I sincerely hope that during this celebration of Vesak, the Buddha’s Light will shine on Australia, bringing prosperity and joy to the nation and its people and may Buddhism too flourish in Australia. May I pay respect to all monks from all order and warmly welcome all congregations who believe in Dhamma. All Buddhists from all over the world have celebrated together in this year, 2012, as it is the 2,600th Enlightenment Anniversary of the Lord Buddha. It is an important time for the world to recall that they are fortunate to be born as human beings, to know Buddhism and to have the chance to study and practice to attain the Dhamma. The Lord Buddha’s teachings have been proved for 2,600 years to be superb, and that they do not hurt people by speech and action. Rather they lead people not to do bad deeds, to do only good deeds and to purify their minds which is an act that can truly brings peace to all mankind. So the United Nations and the world have announced that the full moon night called “Vesak Day” should be an International Day of celebration. It is an important time for us to recall the Great Wisdom, Pureness, and Kindness of the Lord Buddha who was the Great Teacher of human and celestial beings. This event has been arranged for six years in Australia and is a good time for the relationship between Thailand and Australia, which has been established for 60 years. It is an auspicious time for us to keep the Buddhist teachings alive to brighten this land and that we come together to disseminate the Lord Buddha’s teachings so that they shine forever like the sun for all beings. Last but not least, the Dhammakaya Temple, the Dhammakaya Foundation, and all Buddhist around the world would like to wholeheartedly send good wishes and friendship to all monks from all orders and all participants. We wish you all to be calm, peaceful and happy, like the Lord Buddha, through attainment of the Dhammakaya. What would have happened to our world if the founders of religion had not appeared in our lives. 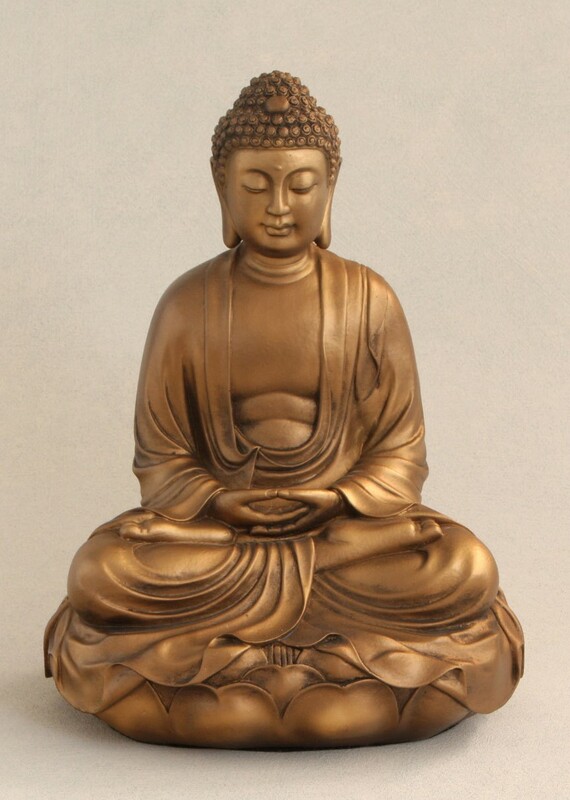 Sakyamuni Buddha was born in the year 624 BCE. He was a prince, the son of King Suddhodhana and Queen Maya of Kapilavastu in Northern India, now part of Nepal. cal human personality. He was not a god, angel or any other form of immortal being. He brought to our human society the message of peace, harmony and liberation – liberation from greed, anger, delusion and the sufferings of life. How difficult it is to satisfy the world’s call for peace if our conduct is not yet in keeping with the Buddha’s teachings. ne celebrating this holy and auspicious Buddhist event and, especially to those who build peace in their own mind to help construct true peace for all sentient beings. The first Australian Observance of the United Nations Day of Vesak in 2007 was organised by the Buddhist Federation of Australia and other Buddhist organisations. Since then this has become an annual event when all Buddhist traditions join hands in celebrating Vesak together as an official celebration at the national level. It is a time when Buddhists come together, meet and get to know and understand each other better. 2600 years since the enlightenment of the Lord Buddha. All through the year, Buddhist organisations and communities around the world have organised various events to commemorate and celebrate this auspicious occasion. What makes this occasion special is that it is the day the Buddha attained self-enlightenment. With his unsurpassed purity, wisdom and compassion, he expounded hos knowledge for the salvation of other living beings. He also taught us the way to purify our minds, to know what is right, what is wrong, what is vice and what is merit. To make Buddhism flourish in Australia we have to unite as one and follow the guidelines that the Buddha gave to his disciples to disseminate Buddhism. Patience is the principle conduct, and Nirvana is the ultimate goal. We promise not to exploit or reproach each other. hese days is a place of disorder. Natural disasters, wars and terrorist attacks happen far too often. We are in need of good friends with moral principles that will lead us to righteous thought, speech and action. It can take only one such person to bring happiness to the society. May the triple gem bless you with goodness, happiness and prosperity. President of the Buddhist Federation of Australia Inc.
We commemorate this year’s Day of Vesak as the international community enters the final preparations for the United Nations Conference on Sustainable Development in Rio de Janeiro – a once-in-a-generation opportunity to set the world on a more equitable and sustainable path of development. The spirit to care not just for ourselves but for others based on an awareness of our interlinked fates lies at the heart of Buddhism – and indeed all of the world’s great religions. These teachings challenge families, communities and nations to act in concert for the advancement of our common well-being. Thai is the best way to secure individual and collective progress in an interdependent world. It is with great pleasure that I send my best wishes to you all for this year’s United Nations Day of Vesak celebrations. This day recognises the importance of Vesak to Buddhist communities globally. It is significant that Australian communities celebrate this day along with the rest of the world, demonstrating that we are part of the global village. Buddhism has a strong history in Australia and spans many cultural groups. Vesak is an opportunity to celebrate and reflect on the contribution of Buddhist thought to our culture and society. This year’s program provides wonderful opportunities for many to learn more about our different faith communities and Buddha’s message of peace, goodwill and compassion. I hope that all participating in the United Nations Day of Vesak celebrations have an inspiring and uplifting time. I am pleased to send my best wishes to all members of our community who are celebrating the United Nations Day of Vesak this year. The Coalition recognises the deep importance of Vesak as a commemoration of the life and enlightenment of the Lord Buddha. The significance of this day is highlighted by the fact that it has been celebrated around the world under United Nations auspices since 2000. As you join with friends, family and the broader community to celebrate Vesak, it is also a good chance to recognise the contribution that Australian Buddhists have made to our country. I hope everyone who marks the Australian observance of the United Nations Day of Vesak in 2012 will enjoy the celebrations. I am pleased to welcome you to Town Hall to commemorate the Buddha’s enlightenment. Many have been inspired by Buddhism’s message of peace and compassion and the Buddhist community plays a valuable role in Australian Society. Its commitment to serving humanity and promoting interfaith understanding contributes greatly to a spirit of goodwill here in Sydney and among Australians of all backgrounds. I send my best wishes to everyone celebrating the United Nations Day of Vesak in 2012. I wish to offer my warmest congratulations to the Buddhist Federation of Australia as you and your members across Australia gather with family and friends to celebrate Vesak. 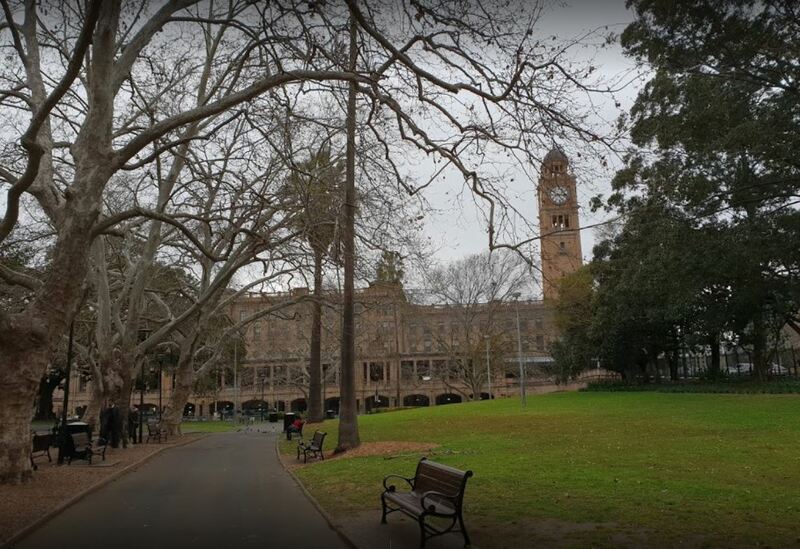 I am sure your celebrations at the Sydney Town Hall will be remarkable; bringing together the Buddhist community from Sydney to celebrate the birth, enlightenment and passing of the Buddha Sakyamuni on the observance of the United Nations Day of Vesak 2012. Best wishes for a lovely day. 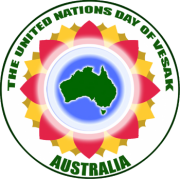 As representative of the Australian Greens, I am humbled to offer my support in recognising the Australian Observance of the UN Day of Vesak for 2012. It is an honour for Sydney to again be the location for the celebration of this holy and auspicious event. In this bustling city it is important to reflect on how compassion, tolerance, patience and meditation can improve our lives and enrich our communities. The 25 century tradition of the study and practice of compassion and the pursuit of peace embodied in Vesak remains deeply relevant to the challenges of today. Suffering and conflict is a daily reality for millions of people around the world; and the Earth’s natural systems are under threat. The observance of Vesak continues to provide us with hope and strength for these challenging times. I write to extend my best wishes to the Buddhist Federation of Australia’s celebration of the Australian Observance of the United Nations Day of VESAK on Sunday 27 May, 2012. This day is of great significance to a large number of people in Australia and I am pleased that so many people can gather and celebrate this momentous occasion. I commend Buddhist Federation of Australia’s efforts in commemorating the Birth, the Enlightenment and the Passing of the Buddha. Once again, I extend my congratulations and best wishes to the Buddhist Federation of Australia and Most Venerable Sudhammo on organising the celebration. May the occasion be a resounding success. It is my great pleasure to wish all observers of this Buddhist holy day Happy Vesak. More than ever we must observe the Buddha’s message of universal peace and respect for all living beings. At a time where the gap between rich and poor is growing and our planet’s fragile ecosystems are under threat from self-interest, we must come together and recognise our interconnectedness and broaden our consiousness. In the spirit of Vesak, I send my very best wishes. As a Buddhist follower in the Australian Multicultural Society I have the great honor to celebrate the Birthday of Buddha during May of the year. As Councilor of Fairfield City Council I sincerely wish all members of our community to live in peace and happiness during this Holy Season. Celebrating Vesak Day also means making special efforts to bring happiness to the unfortunate people and recognise the contribution of Australian Buddhists who have made to our community. I wish everyone enjoy the Australian Observance of the United Nations Day of Vesak 2012. On behalf of Auburn City Council I would like to extend my congratulations to the Organising Committee of the Australian Observance of the United Nations Day of Vesak 2012 and thank them for their great contribution to the Australian community and world peace.